This post clearly falls into two traditional holiday categories. (A) One gift for you; two (or three), gifts for moi, and (B) It really IS the most wonderful time of year because you can find great deals in the indoor gardening section of your local big box store. 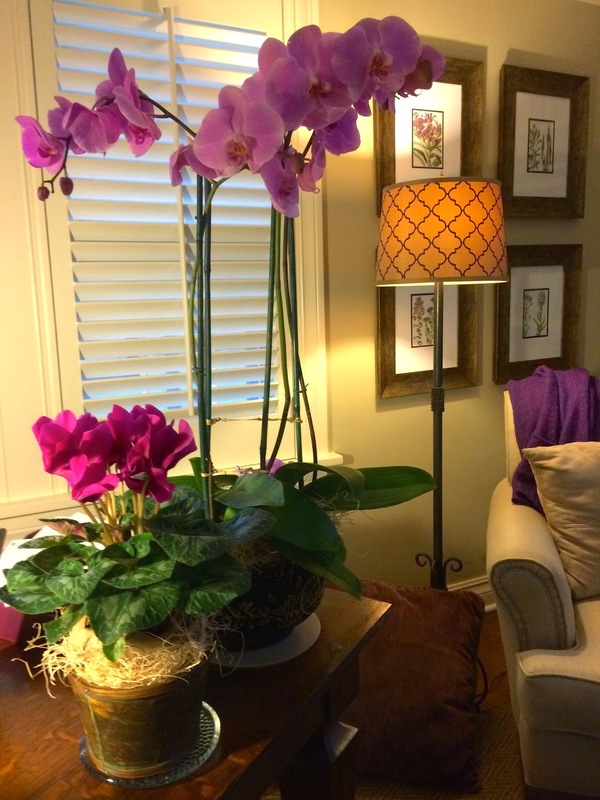 Case in point: a delicious Black Friday special on orchids at around $8.00 each at Home Depot. Even when shopping for oneself, a single stem can seem too petty; two is nice, but three? 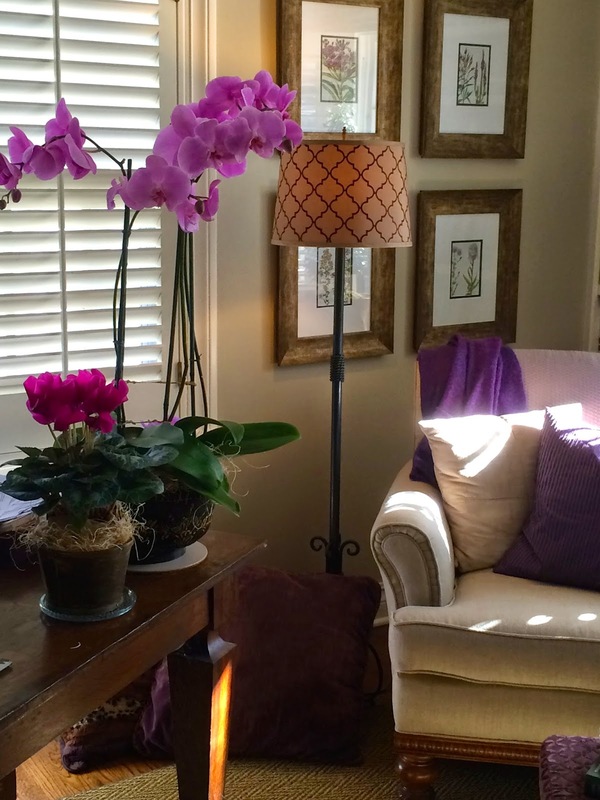 Three is just perfect...at least when it comes to buying orchids on sale for the holidays. Especially when gathered and arranged en masse in a striking fresh-from-the-expensive-florist way. 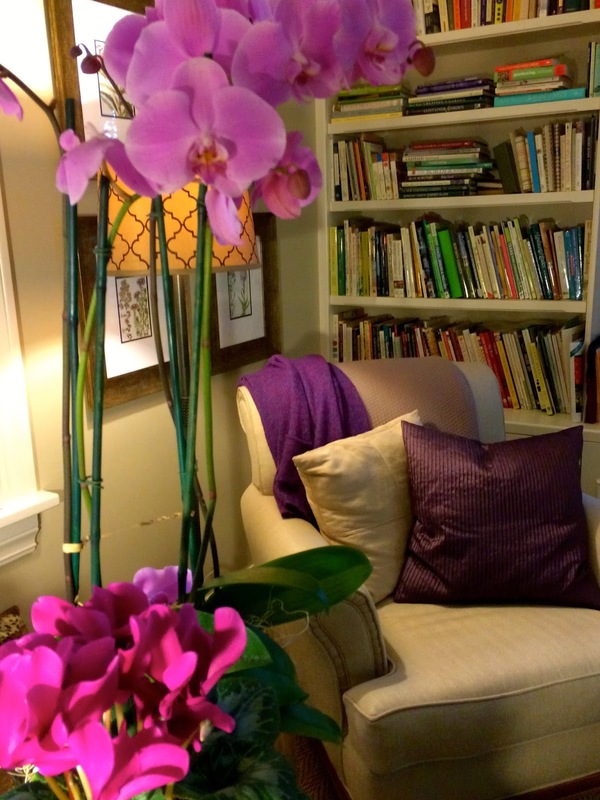 SOME HOW-TO TIPS: Orchids are notoriously top-heavy and can be rather unwieldy to work with...they keep wanting to keel over. 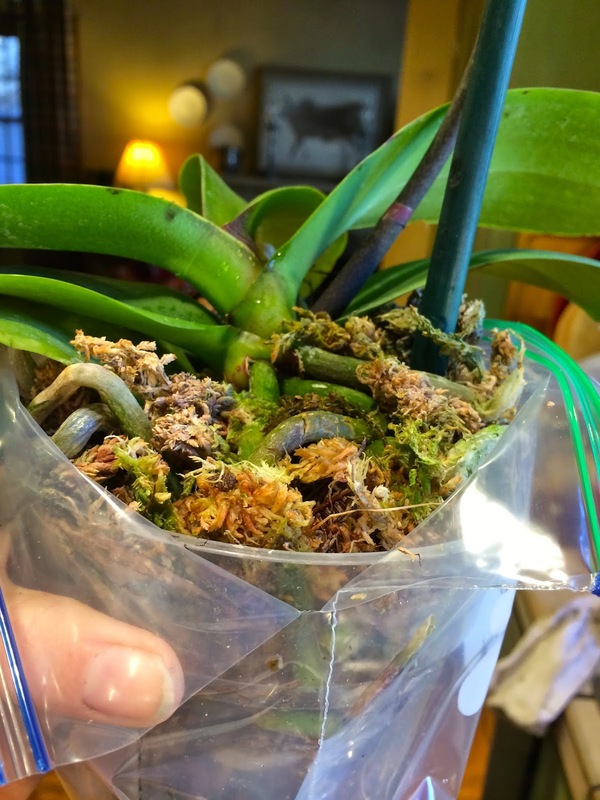 (I found this 4" size fit perfectly into my kitchen drain; a handy holder while I worked...) First, remove orchid from its (often cheap and cheesy) outer plastic pot or foil. 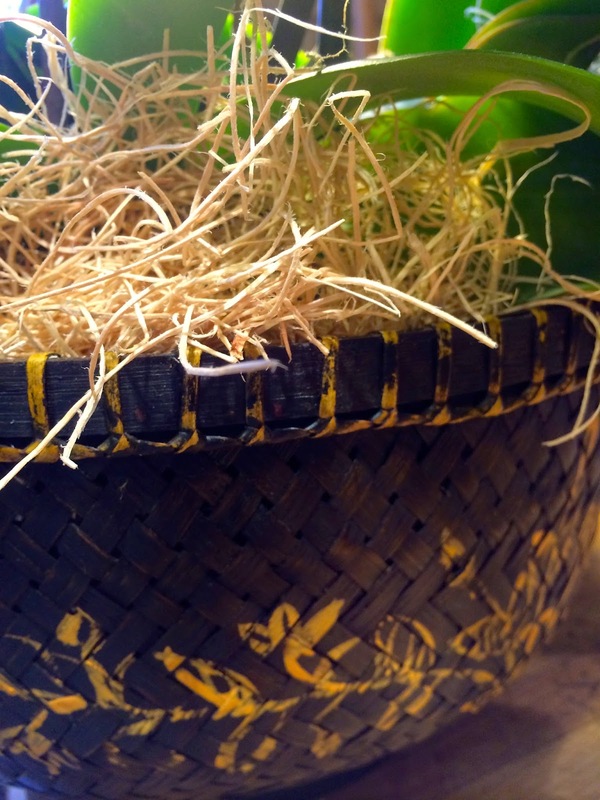 This exterior 'gift wrap' will often be filled with water, potentially drowning and damaging the root system. 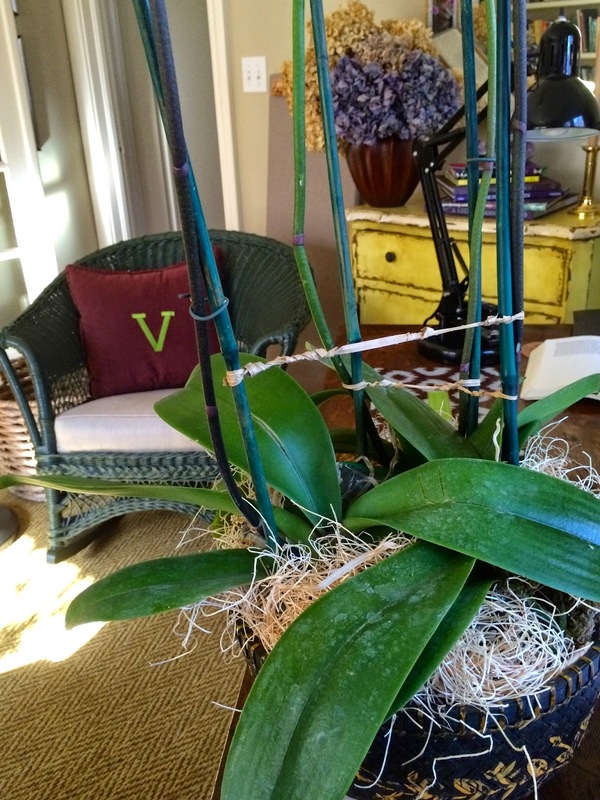 Look for signs of stress from over watering, cold blasts of air, poor handling, or neglect. Foliage should be firm and bright green - no sign of yellowing. Flower petals should be blemish free with a few unopened buds for longer lasting bloom and stems should obviously be intact; not broken or bent. 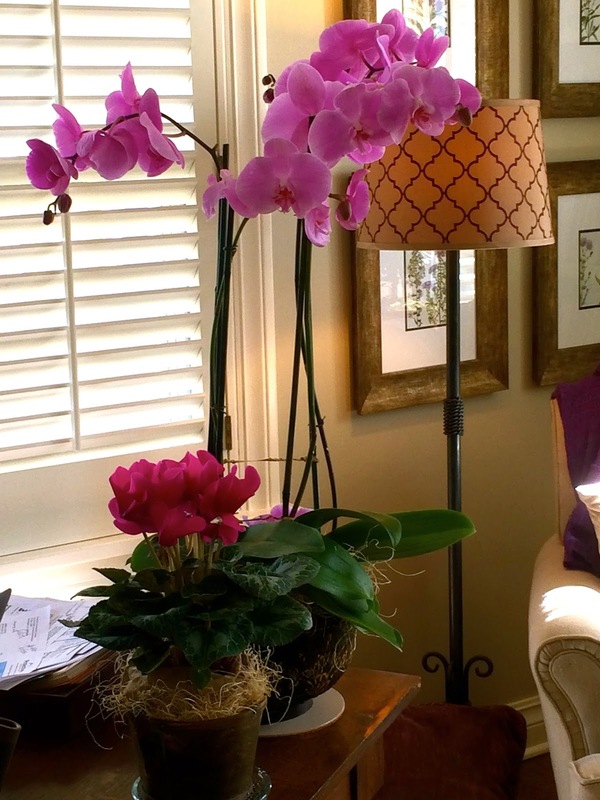 Each of the three orchids was treated in a similar manner. I inserted crushed or folded newsprint to fill in gaps and provide support to ensure the flowers stand straight and tall. 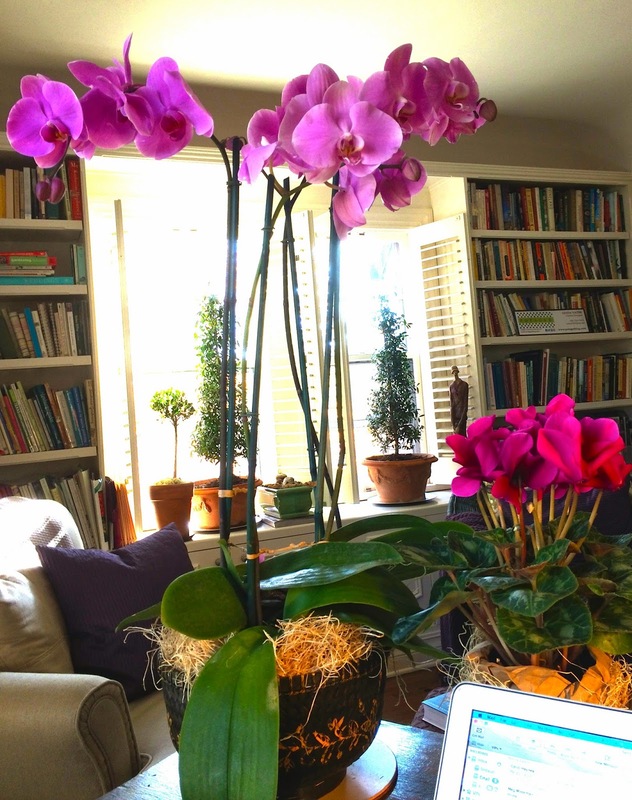 The flowers keep me company (and perhaps more importantly) with their beautiful companionship keep me working. 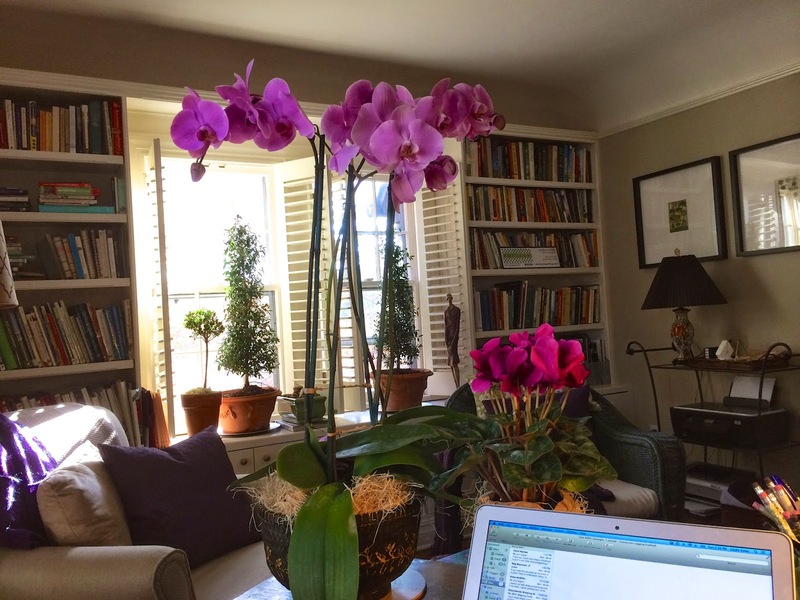 Happily they also commune well in spirit and in hue with a deep lilac-flowered cyclamen also in residence on my desk. Both enjoy the bright light and draft-free conditions my office provides. I periodically look up at them. They gaze down at me. All in all, a wonderfully symbiotic relationship.